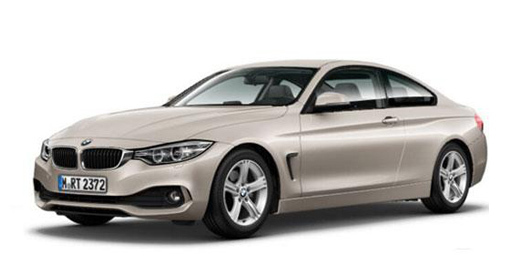 BMW’s 4 Series smart looking drop top is a rare breed as a four seater with a folding metal roof that makes it quieter and far more luxurious than market competitors. The choice of seven engine types ensures you’ll find a power to economy ratio that suits and not have to compromise on speed. The 4 Series convertible has accurate steering and the suspension does a grand job of dealing with rougher roads making for a comfortable ride on any surface. Wind noise is kept to a minimum thanks to the foldaway metal roof, but even with the roof down (which can be achieved in a mere 20 seconds), turbulence is kept low and well placed neck warmers ensure comfort. 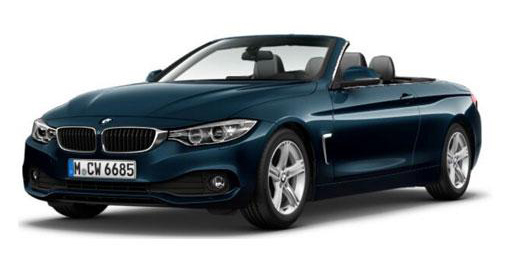 With the roof in place the convertible provides a tidy drive, similar to its sister the 4 Series coupe. Standard LED headlights and fog lights up front framing BMW’s classic kidney shaped grille give evidence of superb functionality and dynamic design which can be further bolstered with optional BMW Icon Adaptive LED Headlights.